What's Your Favorite Form of Ami? There's also that on that mechanical flying wheel chair who's neurally linked to her cyber chair. @MementoNepenthe: Add it to the poll! I literally cannot believe I forgot to include their Toon Maker counterparts! Amending my polls now! As a cyborg in her early character design, she could be the Data of it, tho. This could actually be counted as a compliment. That one was a redhead, right? Yeah, of course, but I was actually only pointing out that she could still have another equivalent character from ST:TNG & all, not implying whether that's a good or bad thing - I should've made that clear in that post. 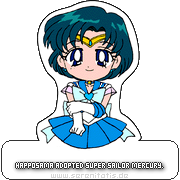 @MementoNepenthe I love the illustration of Sailor Mercury from the Materials Collection too! The longer skirt definitely suits her as does the bright blue! I agree on "Eternal" Mercury, those bubble-shaped sleeves look great! If there'd ever be a new manga arc or anime season, I think they should have a new Senshi form w/ longer skirts, which could look pretty cool & elegant if done right. Mercury should have the longest skirt of them all! Jupiter could also look great in long skirt, due to her towering height. 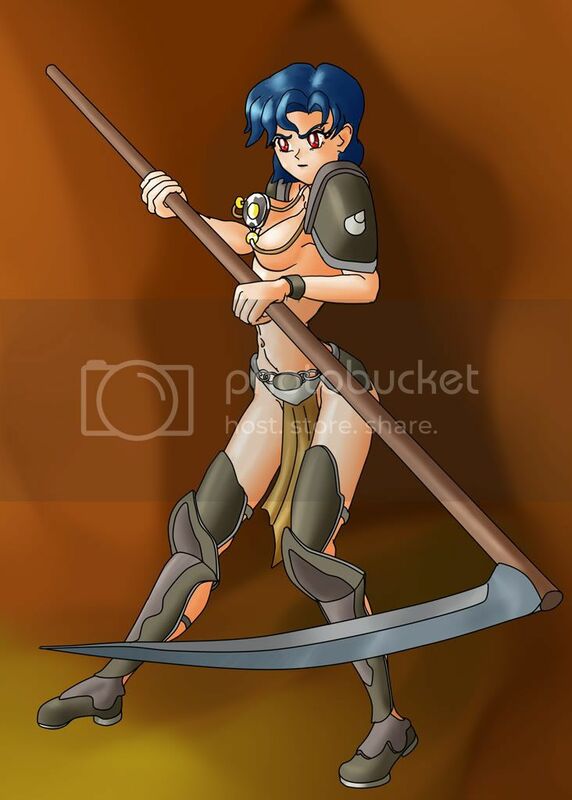 I don't quite like Toonmaker's Sailor Moon enough to add her to my favorite three, but I did base an idea of a Sailor Mercury successor on her. It's really sad that despite there being token disabled characters in the 90's, that it seems in the past few decades, the trend has been away from showing people with physical limitations as part of the cast. 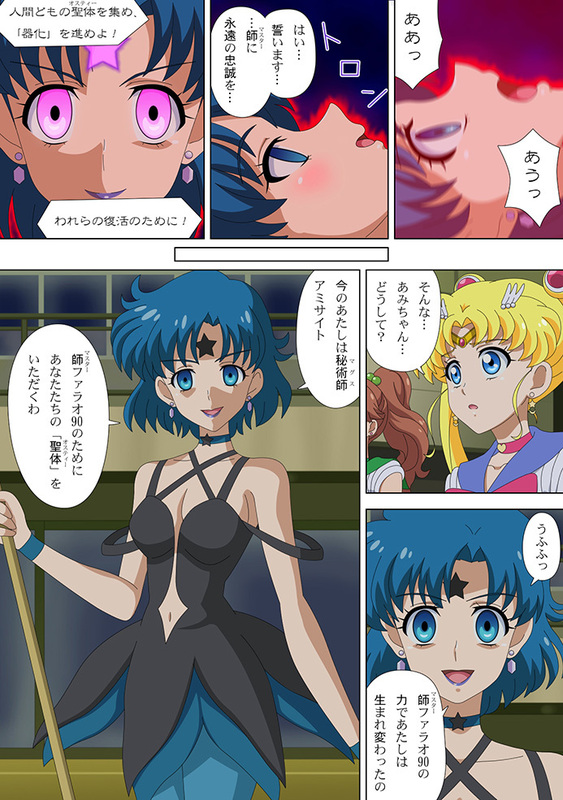 I like Ami, her original senshi form and her super one. These are my polls. [...] I literally said that fan art / fan invented characters are perfectly acceptable under the "Other (Please specify)" option. Dunno if that is SFW enough considering it's a kinda 'Barely-There'. P. S.: In case you wondered: The red eyes (in place of her usual blue) make sense storywise. @Rika-Chicchi: Slave Leia had more to wear. That thing at least came with a bra. ^ Feels like Princess Leia when she was captured by Jabba. Low-key loving this Dark Mercury 2.0, a Witches 5 Mercury from some random Japanese Crystal webcomic. This is also pretty much how I imagine her Dark Empress Outfit to look like. Any chance to somehow get to see the whole thing?